Looks like troubles are increasing for Kapil Sharma’s show with each passing day. The TRP of the show has drastically dipped ever since Sunil Grover and other companions boycotted the show. Now with the latest reports, Navjot Singh Sidhu is in trouble for cracking double meaning jokes on the show. This so happened during the recent episode of the show when Bollywood celebrities Parineeti Chopra and Ayushmann Khurrana visited on the sets for the promotions of their upcoming film, Meri Pyaari Bindu. Reportedly, the complaint has been filed by HC Arora, an advocate of Punjab and Haryana High Court. In the complaint, Arora has also quoted the double meaning joke that Sidhu cracked on the show. This is not for the first time; HC Arora had earlier filed a Public Interest Litigation (PIL) in court against Sidhu in the same case. Also Read: What! 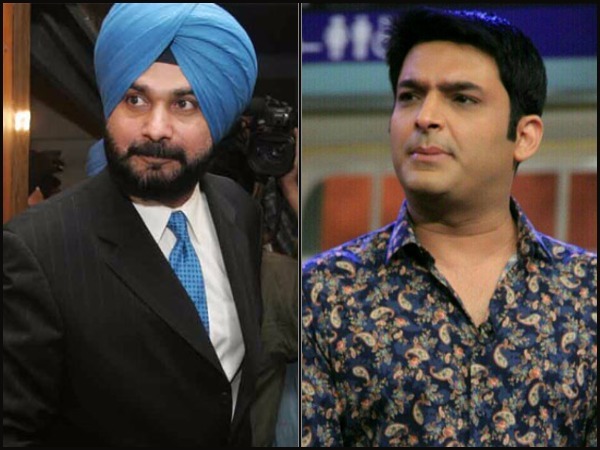 Is Navjot Singh Sidhu Exiting from The Kapil Sharma Show? “I believe that working in the entertainment world will certainly divert the attention of a person who holds a ministry. It would be a hindrance to performing his duties as a minister. I would, therefore, call upon you to convey my feelings to chief minister, that the situation has reached such alarming proportions that the chief minister must rein his colleague Navjot Singh Sidhu.” HC Arora added. The court is scheduled to hear the final argument on May 11. Also Read: Sunil Grover Teams-Up With Sunny Leone For A New Project – Watch Video! Previous : Sunil Grover Teams-Up With Sunny Leone For A New Project – Watch Video!